Fully furnished, 3 bedrooms + office, master with ensuite and spa bath. Spacious, well appointed kitchen, generous storage. Double glazing. 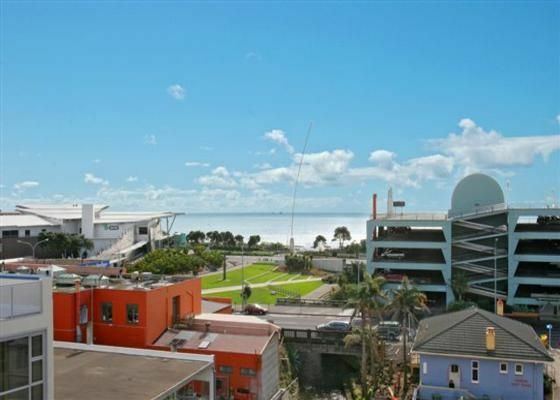 Sunny north facing deck overlooks new Huatoki Development, fantastic views of sea, Puke Ariki Museum and Wind Wand and the famous Coastal Walkway, 5 minutes from the door. The CBD's cafes, bars, galleries and shopping right at the doorstep. You will enjoy the advantages of this inner city apartment with the close proximity to all Taranaki's attractions. the apartment was amazing! It was huge, all the mod cons. Loved the view. Cool murals. Beautiful Penthouse apartment with stunning views of the city and ocean. Perfect two level apartment in the heart of New Plymouth with three bedroom and main bathroom on the first floor, outside deck, open plan lounge and kitchen, butler's pantry, office, laundry and toilet on the second level. Thanks Michele. Yes we like it. Great access to everything. John C.